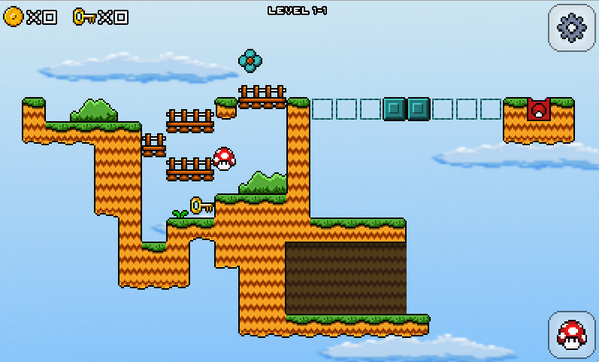 Rescue the the lost mushroom by jumping your way out. Puzzles and platforms everywhere. 22 levels free with an additional 88 coming in a $2 paid for upgrade. This is still a work in progress, the free version is complete and the paid levels are underway. Looking for people to play, test and feedback whats good and bad.